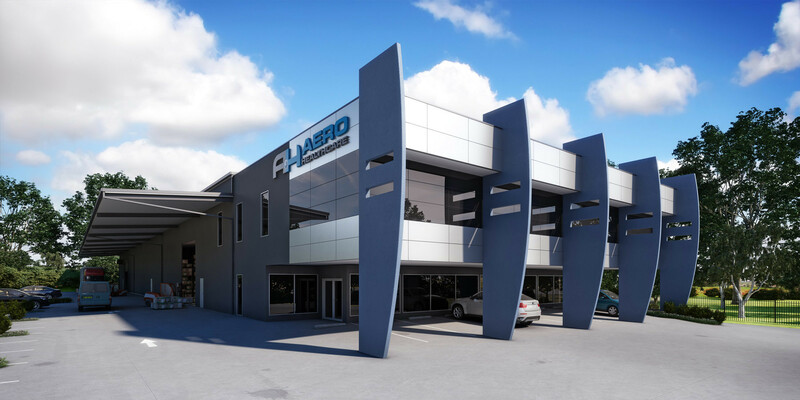 One of Australia’s leading healthcare suppliers and international organisation Aero Healthcare engaged our team to create a 3D rendering of their upcoming Sydney Warehouse. Working with a high quality Archicad model supplied by the talented designed Ben Scott our team and Senior Artist Lucas Mourao set out to create an image that would not only demonstrate though 3D rendering the Architectural qualities but also provide a great visualisation for their project tender process. The 3D rendering highlights the functional elements of the building however also encompasses its strong dominating architecture that breathers power and respect. This process also played a vital role in the colour selection and signage process reducing the risk for the client throughout the construction process saving time and money. No matter if you’re in Melbourne, Sydney, and Brisbane or anywhere for that matter, if you are building or investing you need the best Architectural Visualisations to market and capture your audience. Contact our boutique studio today so we can discuss your individual project needs and ensure your financial standards are just as successful. Call today on 1300 794 077.